There was a lot of change at the academy in 2018. The most notable of these changes was the move to our new premises. Although our Queen Street location had served the academy well for many years, it was time for us to grow and expand, especially with new courses on the horizon. Our new building, residing at 8 Canada Street behind the iconic Karangahape Road was the perfect choice. In November we expanded the academy further, by taking over the building right next door. 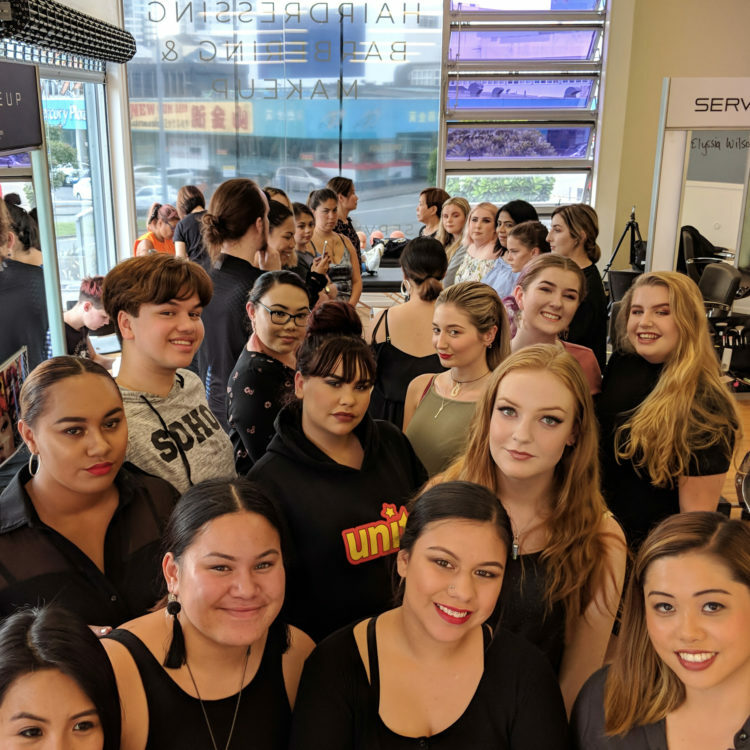 This tied in perfectly with the commencement of our new course (New Zealand Certificate in Makeup Artistry) as we needed additional space for tanning booths, brow beds and tables for nail art. This year will bring a new range of activities and opportunities for the students to develop their skills… watch this space! Another venture we embarked on was becoming part of the Sustainable Salons movement. Sustainable Salons is an incredible business, whose goal is to ‘make salon waste history’ – in other words, they want salons to become environmentally conscious and reuse salon waste for good. Some examples include: sending off plastic packaging to specialists who turn it into outdoor furniture, collecting hair clippings for “Hair Booms” (which are used to soak up ocean oil spills) and donating ponytails to charitable organisations (who create wigs for those suffering from cancer or alopecia). The academy has had a handful ponytail donations since we joined Sustainable Salons, so we are excited to watch these numbers grow in 2019. Interested in a career in hairdressing, barbering or makeup? We are currently enrolling for our upcoming intakes. Explore our range of NZQA approved courses here on our site and book yourself in for an interview using our ‘Book An Interview’ feature.